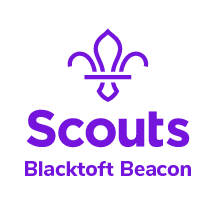 The opportunity to attend the Jamboree as part of the Humberside Unit is open to all Adult Leaders and all Scouts or Explorer Scouts with dates of birth between 22 July 2001 and 21 July 2005. Find out more about it here…. Attendance isn’t free but with hard work and dedication, the majority of participants fundraise all of the fee. In addition there will be further opportunities for adults to attend the Jamboree as part of the International Service Team (IST). Selection for these roles is likely to take place in early 2018. There will be an open evening at Raywell for everybody interested in attending the Jamboree as Unit Leaders, Youth Participants or International Service Team, parents are welcome to attend of course. This event will be held in the Nyeri Building at Raywell on the 8th of June 2017. Please feel free to call in during the evening and have a chat with us, any time between 6.30pm and 9.00pm will be great. During the evening we will also have several presentations from County Members that attended the previous Jamboree.